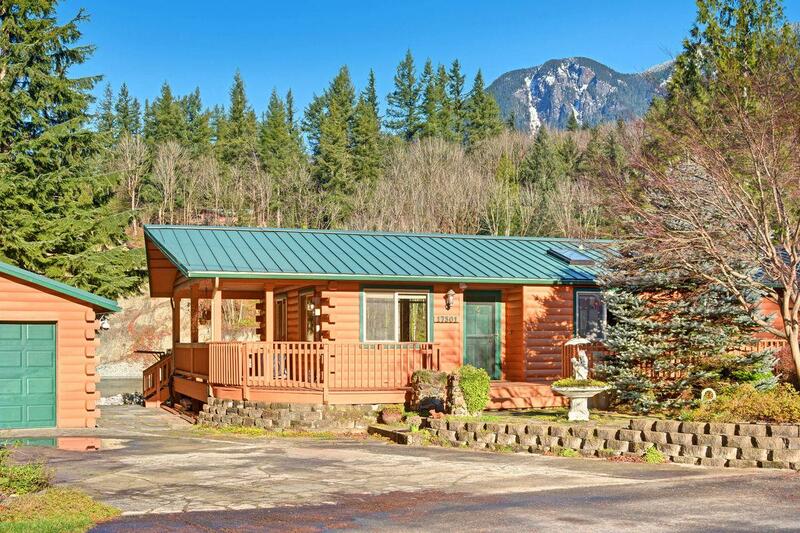 Welcome to Prospector's Bend, a luxury mountain cabin located on the banks of the Skykomish River, near the historic mining town of Gold Bar. 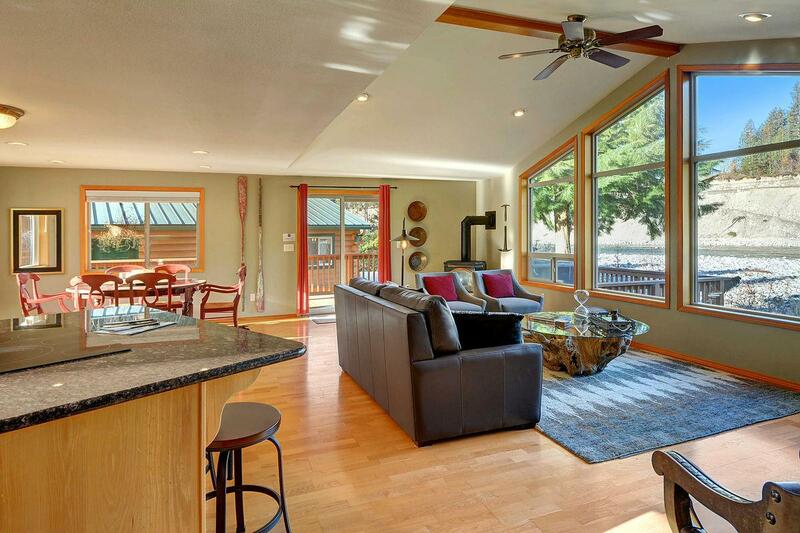 The open floor plan in the main room creates a picture-perfect setting for entertaining with family and friends, while enjoying the stunning river view through the huge picture windows. 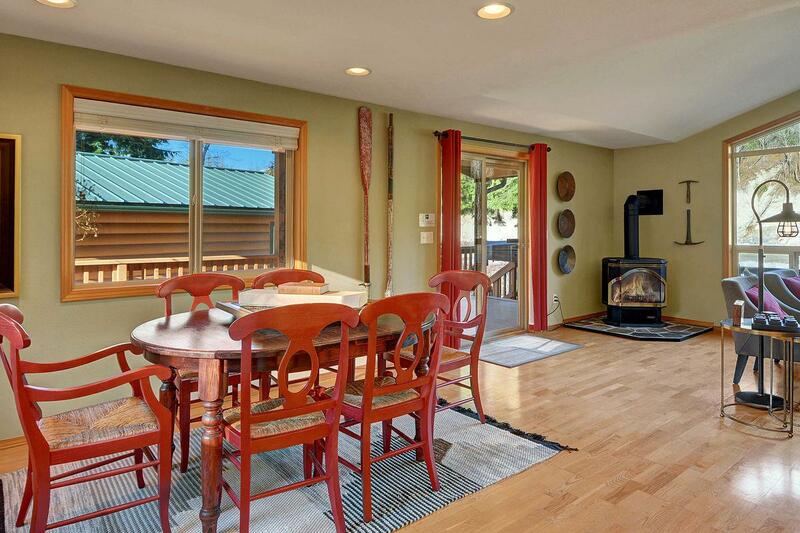 The updated kitchen is fully stocked for channeling your inner chef, and the brand new hot tub overlooks the rushing river, perfect for soaking and relaxing after a day of fun in the mountains. Gorgeously furnished and decorated by a professional designer, Prospector's Bend is filled with stunning pieces and stylish touches that you and your loved ones will enjoy. Hearkening back to the days of gold mining in the historic town of Gold Bar, there are vintage prospecting books and art pieces placed thoughtfully throughout the home. 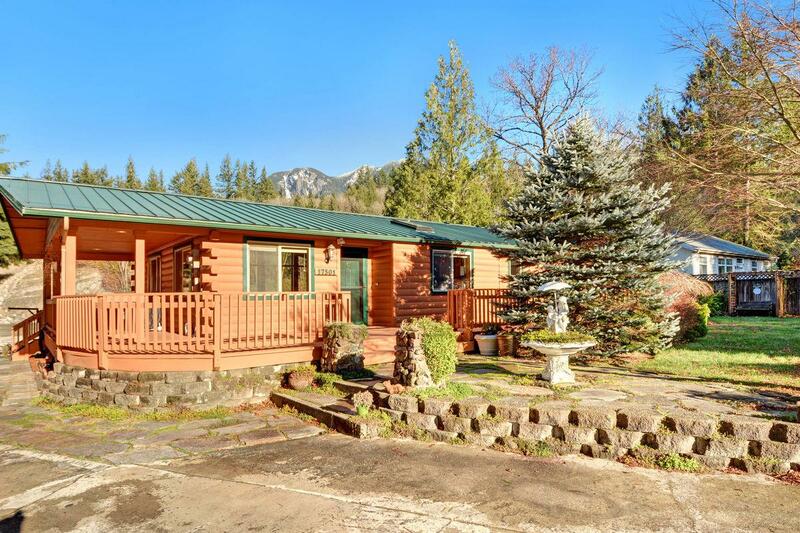 Prospector's Bend comfortably sleeps up to 6 guests with a king bed in the master, a queen in the guest room, and premium queen size sleeper sofa in the living room. The master bath features a jetted soaking tub, double vanity, and walk in shower, and the guest bath features a full tub/shower combo. 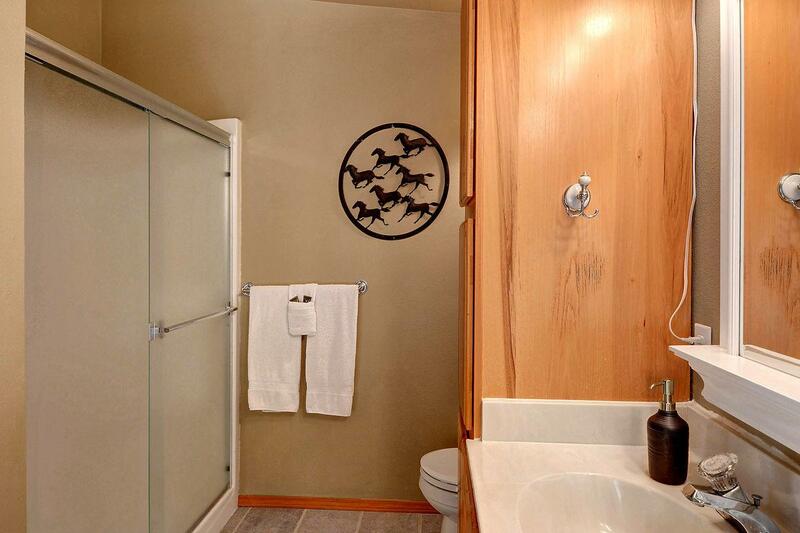 There is even a bonus shower in the laundry room! 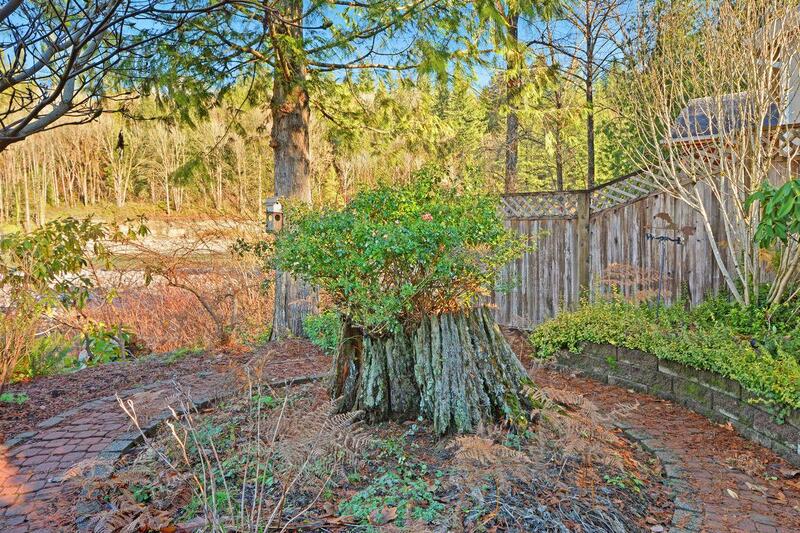 Outside the house you'll find a garden with charming features and meticulous, mature landscaping that makes for a peaceful mountain retreat. 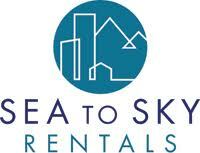 Stevens Pass Mountain Resort is a quick trip away by car, as well as countless other recreational activities such as hiking, mountain-biking, rock climbing, horseback riding, white-water rafting. 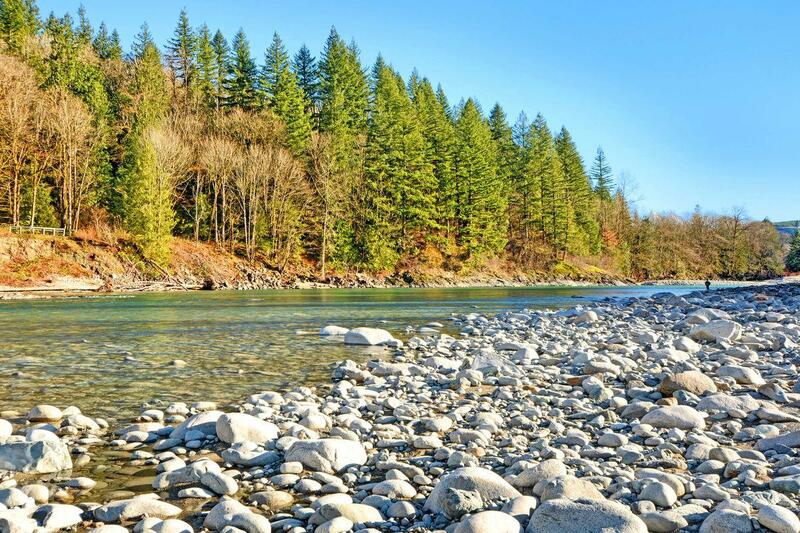 Float along the beautiful Skykomish River, explore the rocky riverfront beach looking for treasures, or stroll along the delightful Snohomish County nature trails that are adjacent to the home! 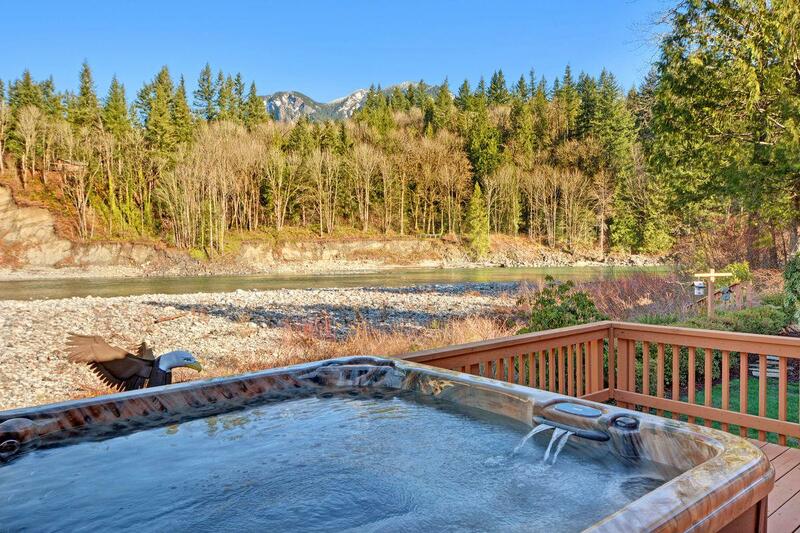 After a long day in the mountains packed with fun, slip into the sparkling hot tub, gaze up at the stars away from the city lights, and listen to the river rush by. Then retreat to your comfortable bed to rest and rechard for another fun-filled day. 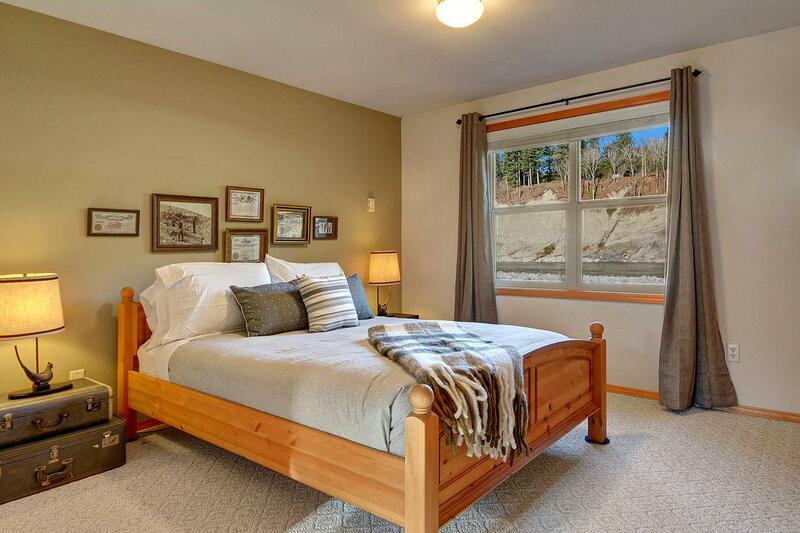 Book your next North Cascades getaway at Prospector's Bend today and make incredible mountain memories with friends and family! 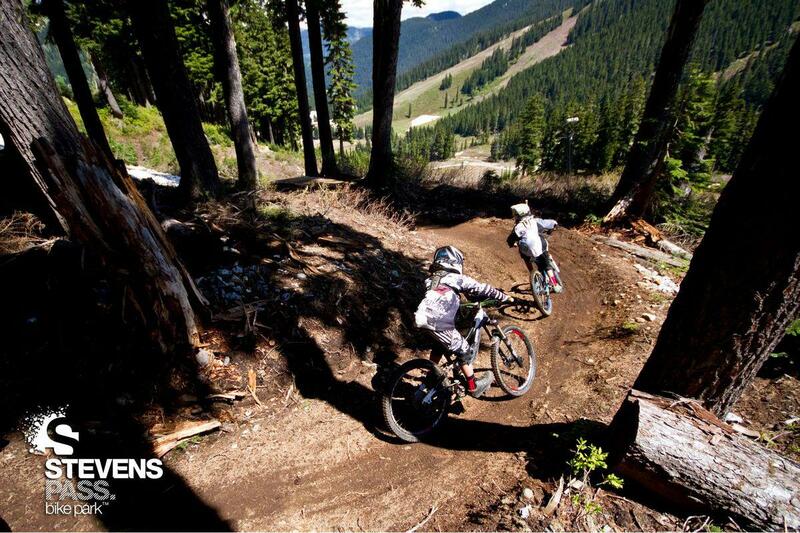 The ski resort becomes a world class bike park in the summer months! 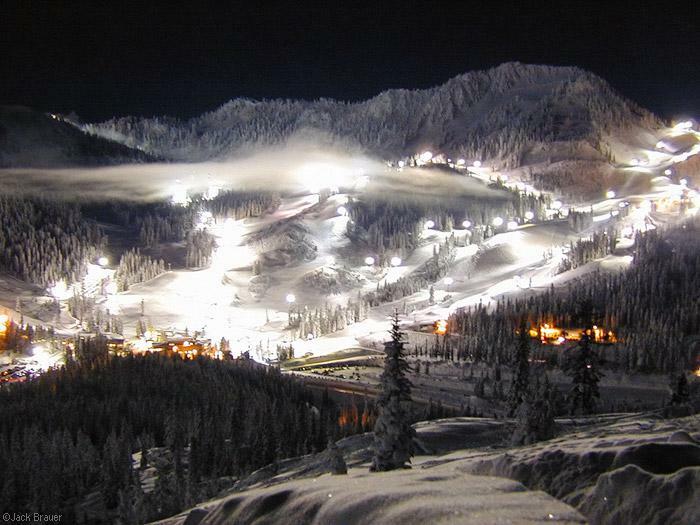 Night skiing at beautiful Stevens Pass Mountain Resort. 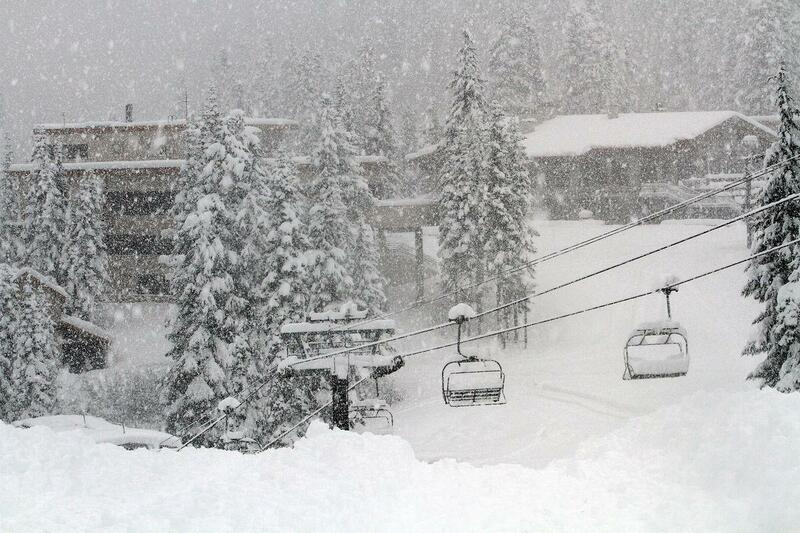 Stevens Pass just 30 minutes away by car! 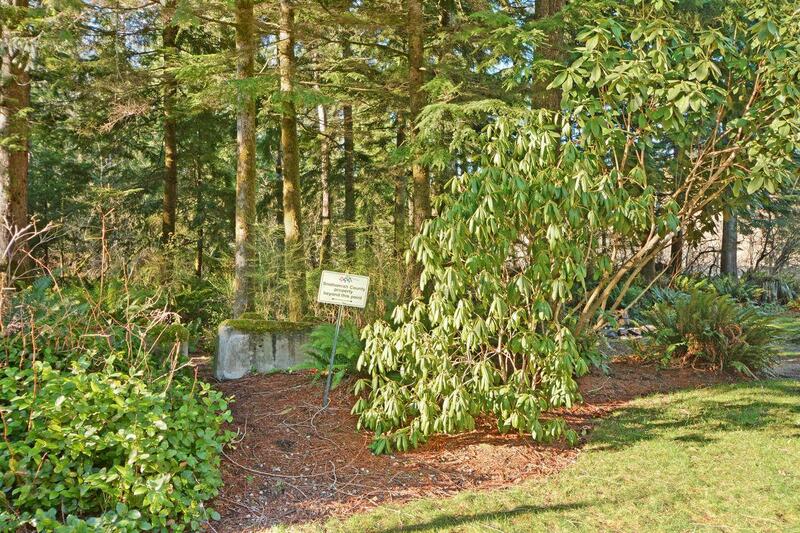 Beautiful Snohomish County nature trails - the entrance abuts the property! 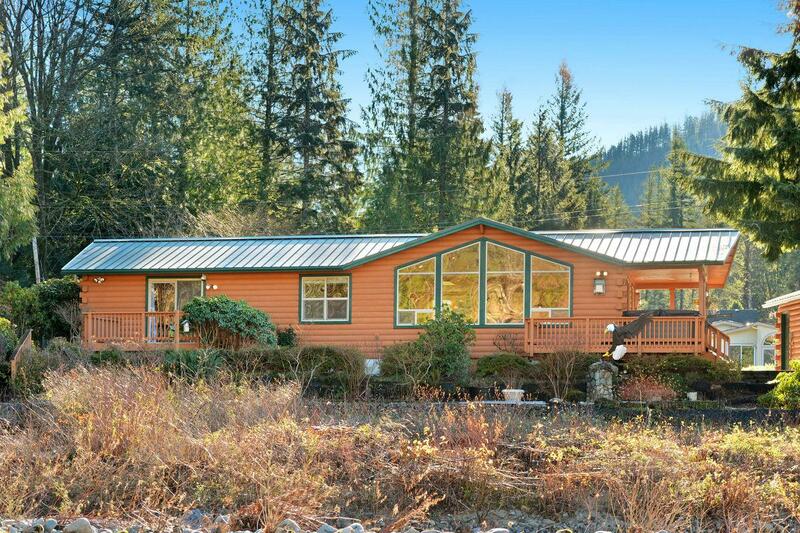 Prospector's Bend features gorgeous landscaping and wraparound decks. The riverfront beach behind the property. Soak in the hot tub on the back deck! 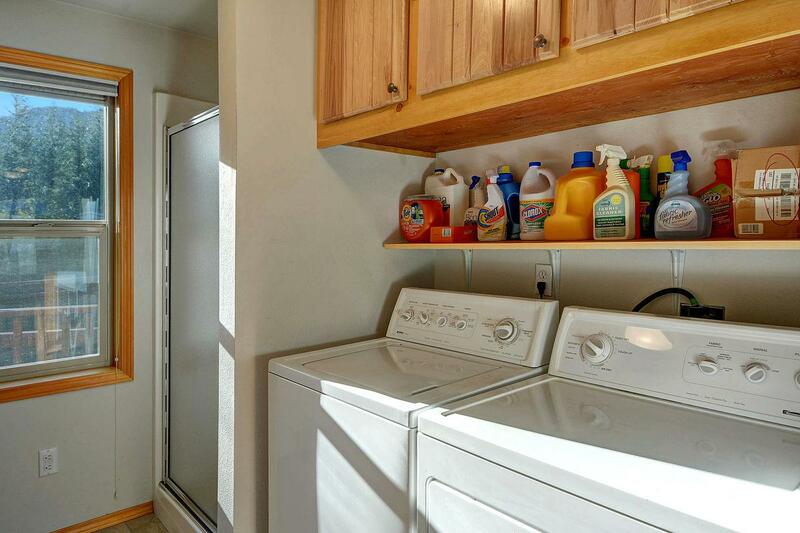 Laundry room with additional shower. 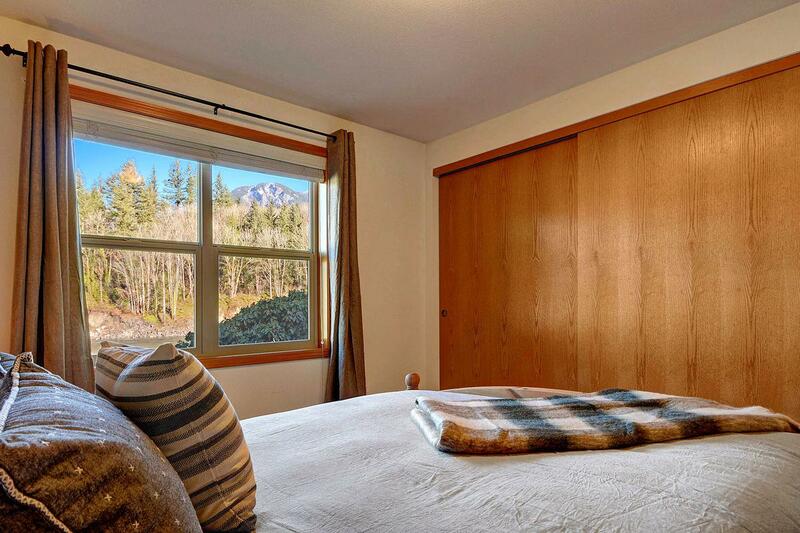 Look out at the mountain from the bed! 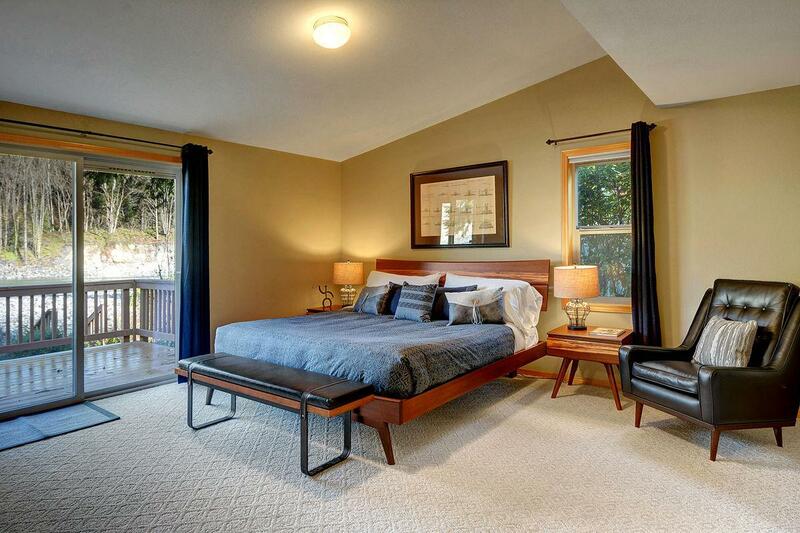 Second bathroom with queen bed and river views. 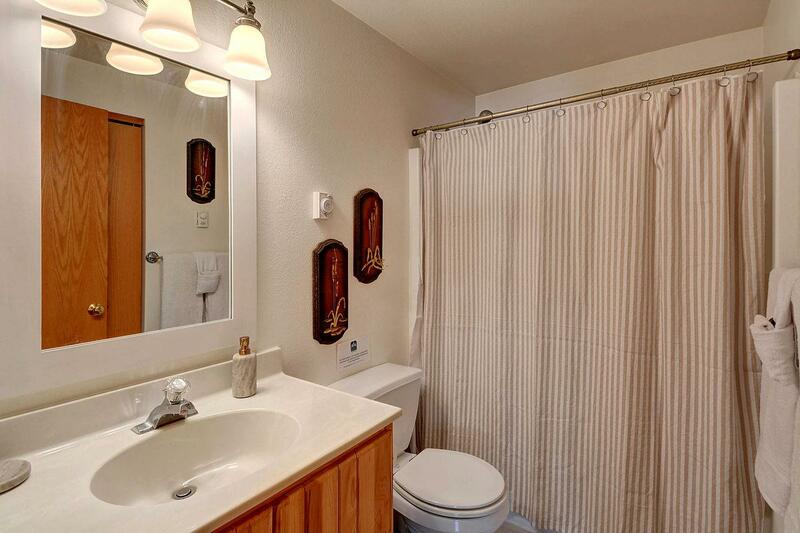 The other view of the master bath with shower. 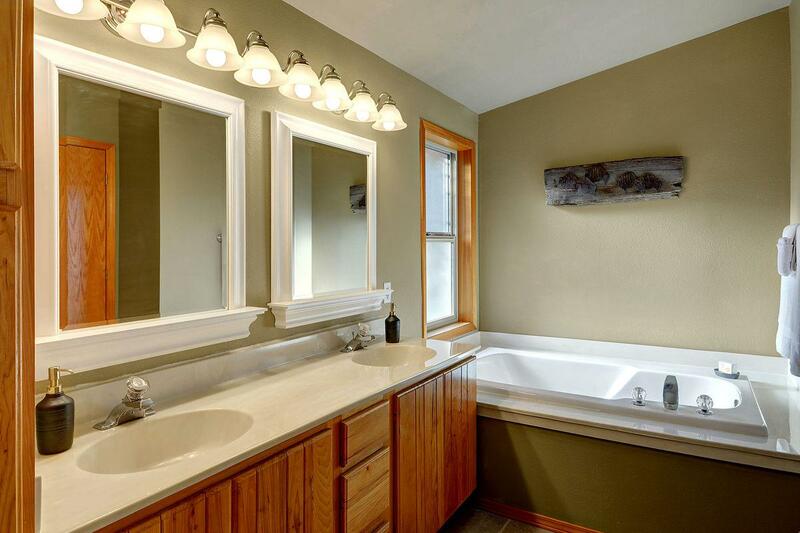 Master bath with jetted tub. 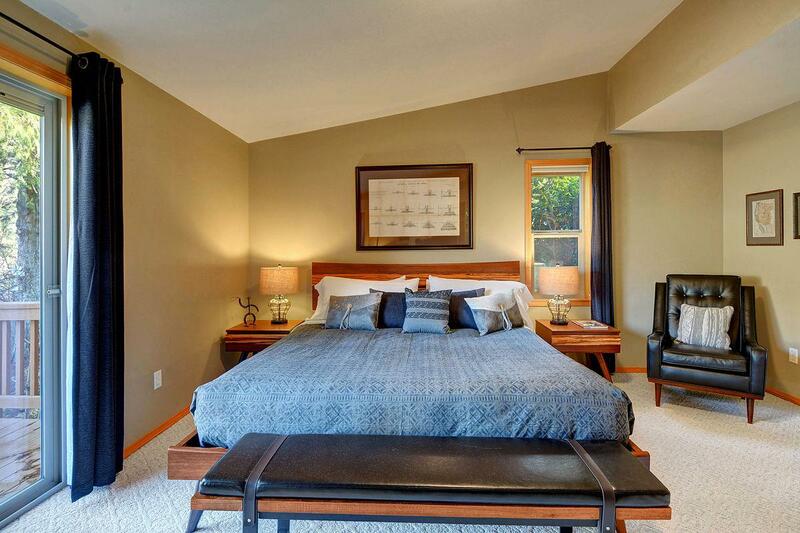 Relax and enjoy the king bed and your own private deck! 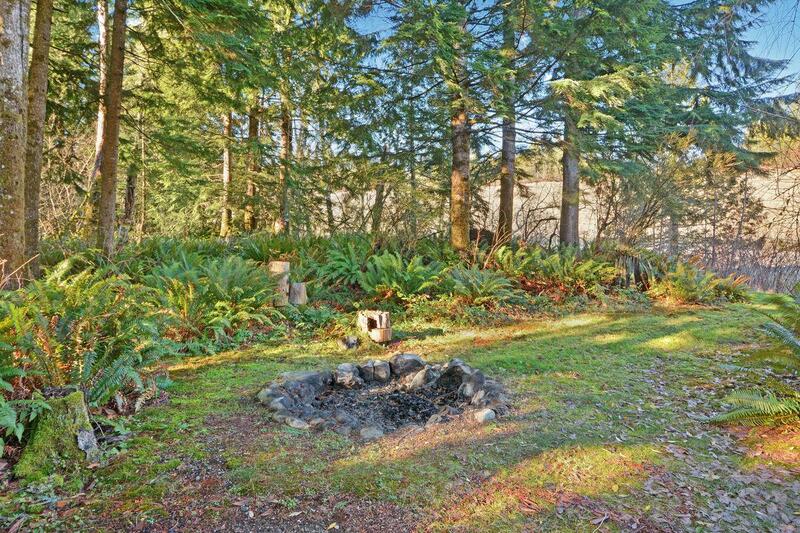 The spacious dining area with room for 6. Looking from the kitchen out to the river. 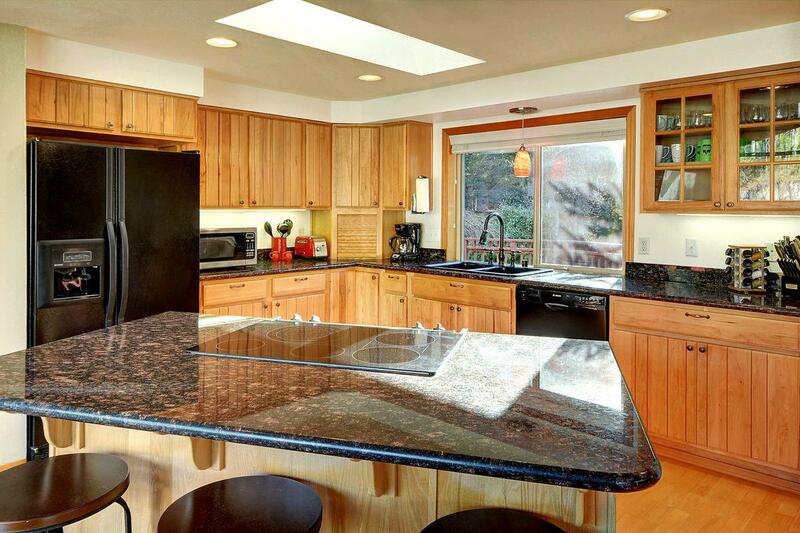 Large kitchen island allows for prepping & eating meals! 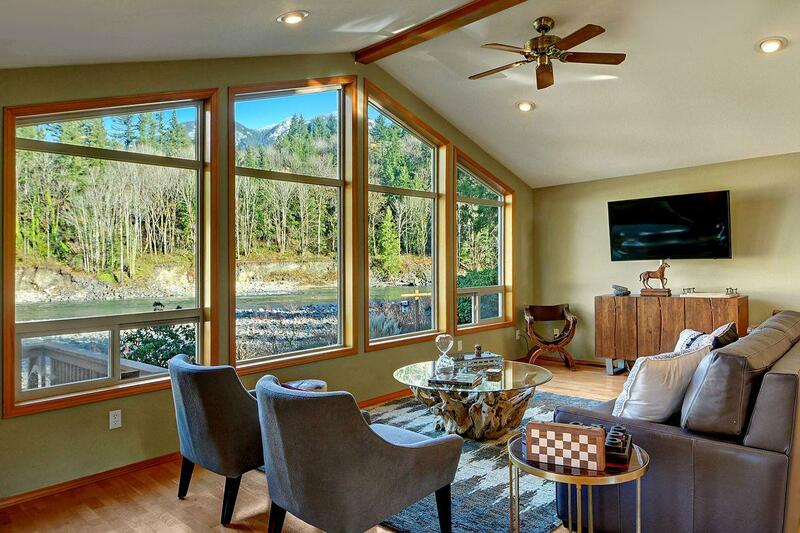 Large picture windows frame the river and mountains. Driveway provides plenty of space for parking. Mountain views! Welcome to Prospector's Bend! 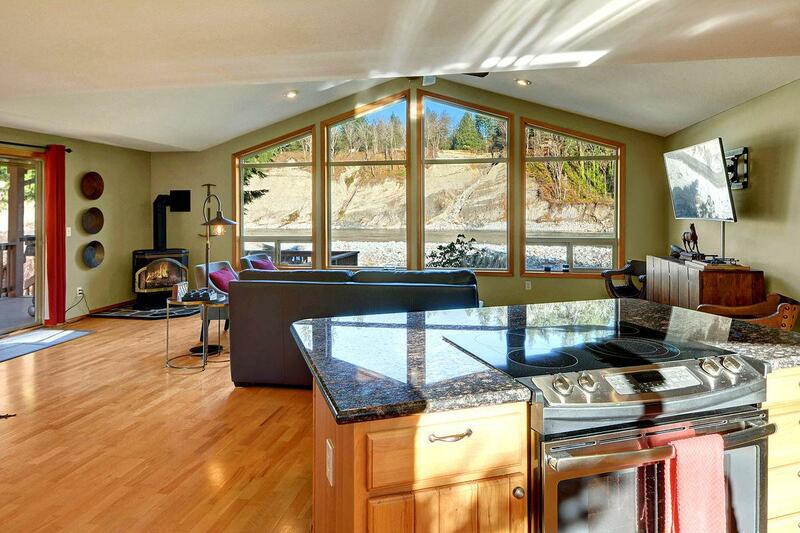 A gorgeous riverfront mountain home with river & mountain views.